Item #3. On the wearing of ties. A red rag is the sign of a communist. Wearing red ties and armbands is forbidden. Wearing a brightly coloured tie is unsuitable for a German soldier. 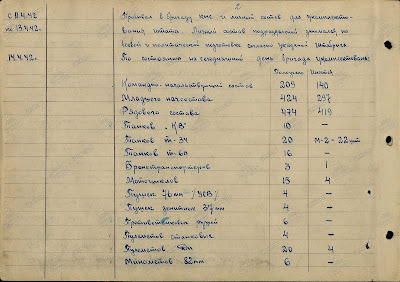 Translated by Intendant 3rd grade Skormorovskiy"
Long-time readers of this blog are no doubt already aware of the poor performance of German armour in British and Soviet trials, but you can never have too much evidence. Here's another log for the fire. Gun performance is appreciably better than forecast and it must be therefore be concluded that German plate is not up to the standard of our Homogeneous M.Q. tank armour. In point of fact the German plate appears far too brittle and large cracks develop from any penetration. These became so bad during the course of the trial that whole sections fell away and it was difficult to find a target in the later stages. This fault is not confined to this particular plate as the tank used as a target had been knocked out by penetration of the turret side, by 75 mm AP, and from here the cracks had developed to the side of the plate." When researching armour for 25-50 mm plates, the Ilyich Research Laboratory made the correct decision to explore highly hardened steel while preserving the necessary degree of ductility. Despite existing opinions that thick tank armour (40-75 mm) must have lower hardness (3.4-3.6 mm), the Research Laboratory developed hard armour (2.9-3.1 mm), finding a successful combination of alloying components, which gave the armour satisfactory ductility. The greatest success of the Czechoslovakian tank industry was with light tanks. The LT vz. 35 and LT vz. 38 turned out to be excellent vehicles, used by several nations during WWII. Despite the fact that Skoda's T-15 and Pz.Kpfw.38(t) n.A. did not make it past the prototype stage, the chassis of the latter was used for the Jagdpanzer 38(t) tnak destroyer. It is not surprising that, after the end of the war and start of work on the TVP medium tank, work on a new light tank began in parallel. The result of that work was several interesting prototypes, such as the TNH 57/900, Skoda T-17, and the amphibious Letak. "Self-loading carbine developed by Kalashnikov and Petrov, according to technical-tactical requirements from the GAU KA Artillery Committee #2941. The carbine (right view) is shown on the photo." 1. Firing on a KV-1 hull. 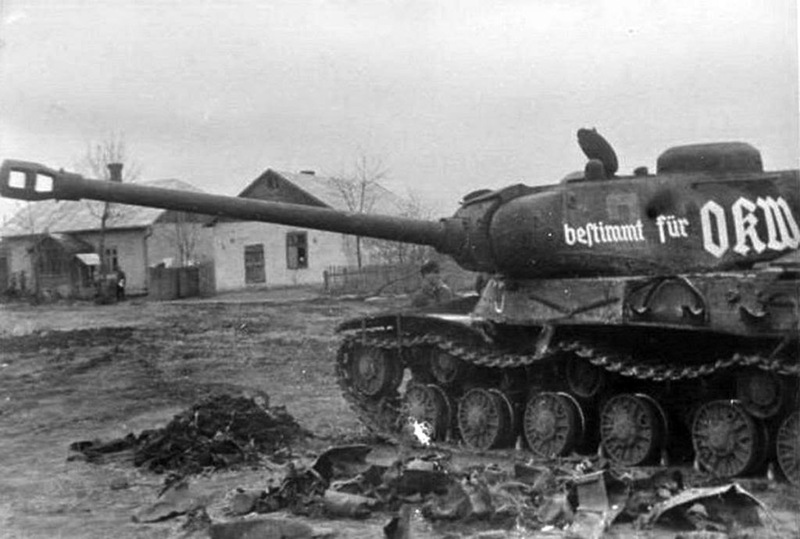 The KV-1 hull was fired upon with armour piercing and high explosive rounds from 1500 meters. The results are shown in table 2. 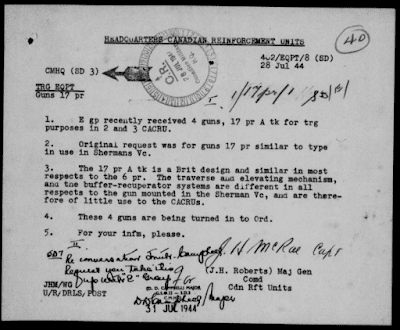 Major Berg, who you might remember from the Hellcat article, worked on the GMC M10 as well. The applique armour, the mounts for which are a distinguishing mark of this vehicle, were his idea. 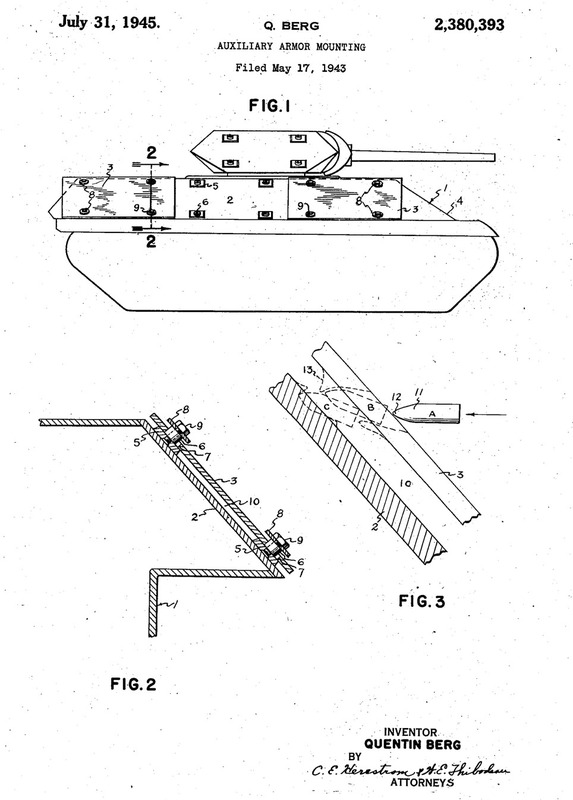 Due to the difference in weight between the Sherman and the M10, 14 mm thick applique armour could be attached to the hull and turret without harming the performance of the vehicle. The total weight of the armour was 2031 lbs. However, the additional armour would only be mounted on a small percentage of vehicles serving in a special role, with the armour removed when the vehicle returned to its normal role. Additional protection of this type was also considered for the M7. Three types of this shielding (right against the armour, 1 inch, and 10 inches away) were tested at Aberdeen against M74 37 mm AP and M62 3 inch APC. The protection against the 37 mm shell did not differ depending on the distance, but protection against the 3 inch shell was better then the extra plate was right up against the armour. Interestingly enough, the protection with spaced armour was not any worse than a piece of armour of equivalent thickness. 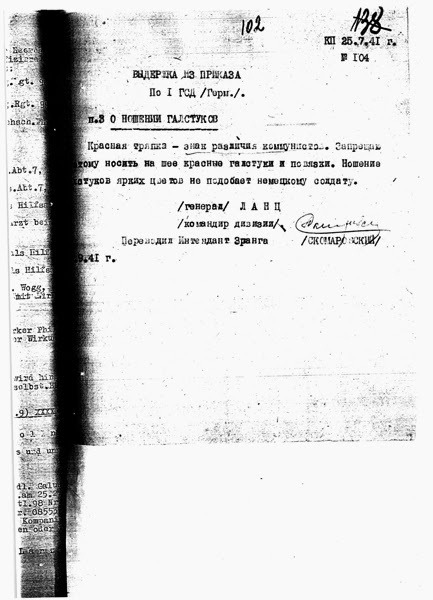 The following document is dated March 1942. The following points need special attention while working with the aforementioned tanks. In order to reduce the chance of the cast iron clutch socket cover, part Z.V.1/BB/44365, the engine RPM should never rise above 2000 RPM. It is possible that some engines are limited below this number, but most are set at 2400 RPM. A new type of cover is made from cast steel. The belligerents in WWII had to improvise time and time again. Obsolete weapons, no longer suitable for their initial purpose, found surprising new applications. One of the most notable examples of such a "second life" is the German conversion of the French 75 mm Mle. 1897 field gun, as a result of which the 19th century weapon became an effective anti-tank gun. If you ask people that know next to nothing of history, they will tell you that Molotov Cocktails are a Russian invention. People that know a little bit more will tell you that they are a Finnish invention. Keep going further, and you will be told that the original use of petrol bombs dates back to the Spanish Civil War. "The High Command Headquarters received several proposals for measures of repressing the enemy in response to their use of poisonous gases. These measures consist of burning the crops that are currently growing in Germany and Austria. In order to achieve this, we require widespread manufacture of incendiary devices of various weights..."
I already discussed how, due to a mistake, the Light Tank M2A4 was "spotted" in the ranks of the Red Army. Since serial numbers were present in the listing, it was fairly easy to figure out that these were actually fairly common Light Tanks M3. 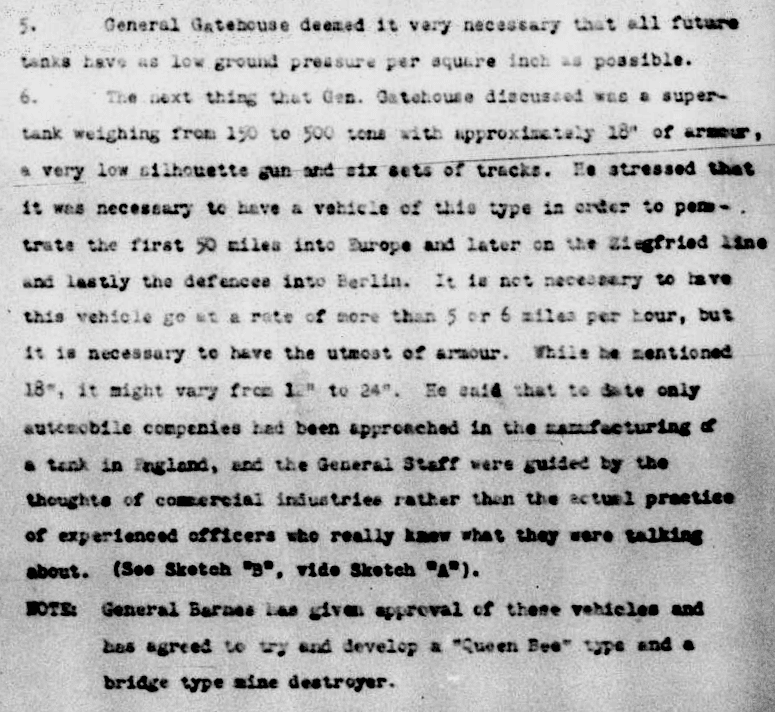 In this document the 201st Tank Brigade is complaining about all of the equipment that it's lacking. There is a shortage of every kind of staff, no artillery, hardly any machineguns, only one APC, and no heavy or light tanks. Instead of 20 T-34s, they received 22 "M-2" tanks. Makes sense, one medium tank replaces another, case closed. Most of my readers have probably heard of the Super Heavy Tank T28, a four-tracked 86 ton assault SPG that the Americans designed to bust through the defenses of the Siegfried Line. Interestingly enough, across the Atlantic Ocean, the British had a similar idea, but cranked up to 11. Considering that the 80 ton T28 only managed a top speed of 8 mph, even 5-6 mph would be an optimistic estimate for this 150 (at best) monster. Thankfully, Gatehouse was right about one thing: experienced officers know what they're talking about, and Barnes managed to talk him out of the idea. It's no small secret that a great number of vehicles ordered by the USSR through the Lend Lease program. Most of the issues with missing gear were solved very quickly, or so I thought. 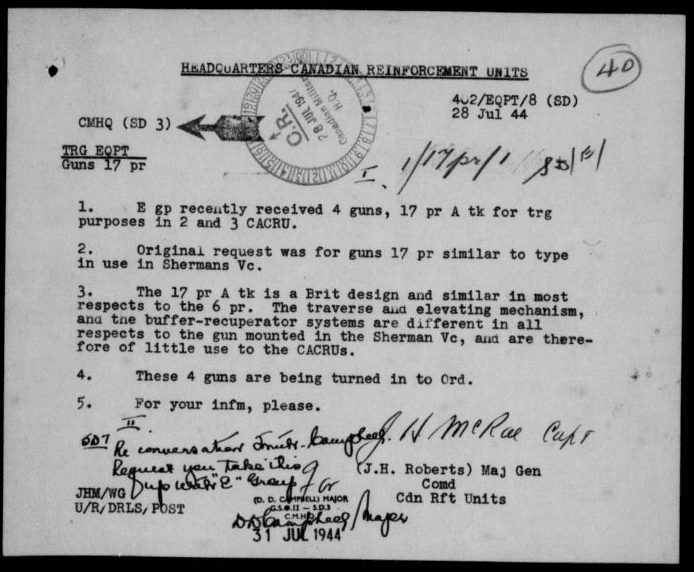 This table shows that missing weapons continued to be an issue until the end of the war. The number listed in the numerator is for weapons that were supposed to arrive, the number listed in the denominator is for weapons that actually arrived, split up by year. The second last column shows the total number of the weapon that was ordered and that arrived. The last column sums up the difference. Despite Sweden's goals to arm itself with domestic designs, foreign tanks in the Swedish army were not a rare sight. In cases when their industry was too slow or designers put out unsatisfactory results, the Swedish military made up the shortfall with foreign purchases. 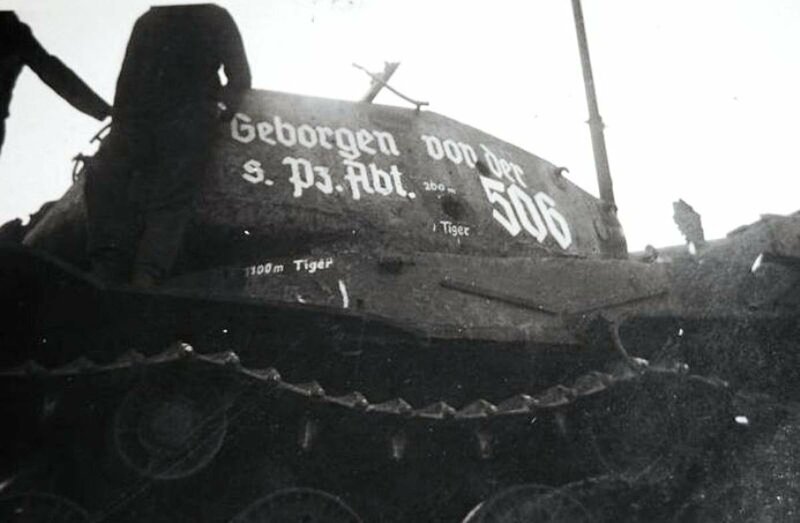 Recall that the Strv m/37, Sweden's most numerous tank at the start of WWII, was actually the CKD AH-IV-Sv tankette. Later, the Swedes acquired the Strv m/41, a licensed copy of another Czechoslovak vehicle, the LT vz. 38. A similar story happened again after WWII. Tired of waiting while domestic designers, the military purchased British Centurion tanks, which ended up being the most numerous tanks with a classical layout in the Swedish post-war army. The time between the World Wars was that of rapid technical progress. Even tanks, a relatively new invention, could become obsolete quickly. Even though only several wealthy countries could afford a large number of the newest tanks for their armies, experimental vehicles and small batches cropped up in many nations. Sweden, who managed to retain neutrality during WWI, was among them. Its army was engaged in a lengthy and difficult search for a suitable tank. The search ended with the acceptance of the Strv m/31, or L-10, which begat a whole family of armoured vehicles. In the mid 1930s, an automatic grenade launcher made by engineer Taubin was tested in the USSR. There were some good things about it, like a satisfactory shrapnel radius for grenades and a high rate of fire: 436 RPM! 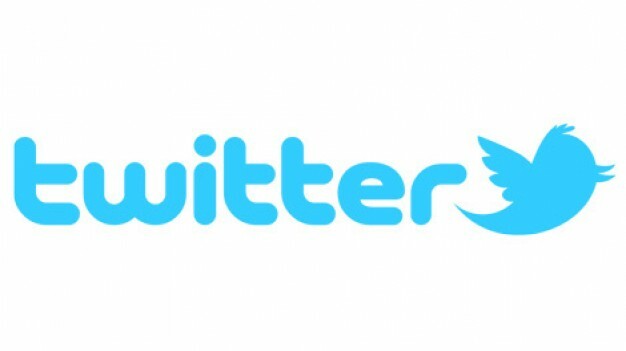 However, there were also many problems. It jammed a lot (7.2% of the shots), and the extractor had to be replaced 30 times over 587 shots. The precision, especially on the horizontal axis, was unsatisfactory. The oscillating part of the 85 mm mod. 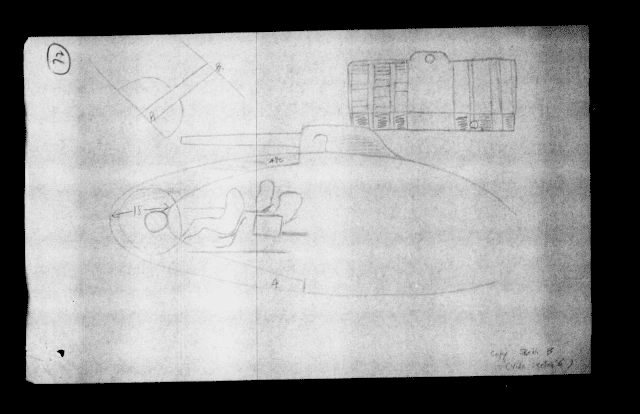 1939 AA gun will be installed on a T-34 tank chassis (with engine) without changes. The CACRU (Canadian Armoured Corps Reinforcement Unit) ordered a few 17-pounders for training. A 17-pounder is a 17-pounder, right? Well, it turns out, not so much. The Valentine infantry tank was the most common British tank of WWII. Like the Matilda, it didn't last long as a front line tank in the British army, but commander versions and SPGs on the chassis made it to Germany. Its career in other countries was even more eventful. The Red Army used them until the end of the war, and they were widely used in the Pacific theater of war. In some nations, these tanks served as training tanks until the 1950s. What was the history of the creation of this extraordinary tank, and how did the first modifications of the Valentine serve? 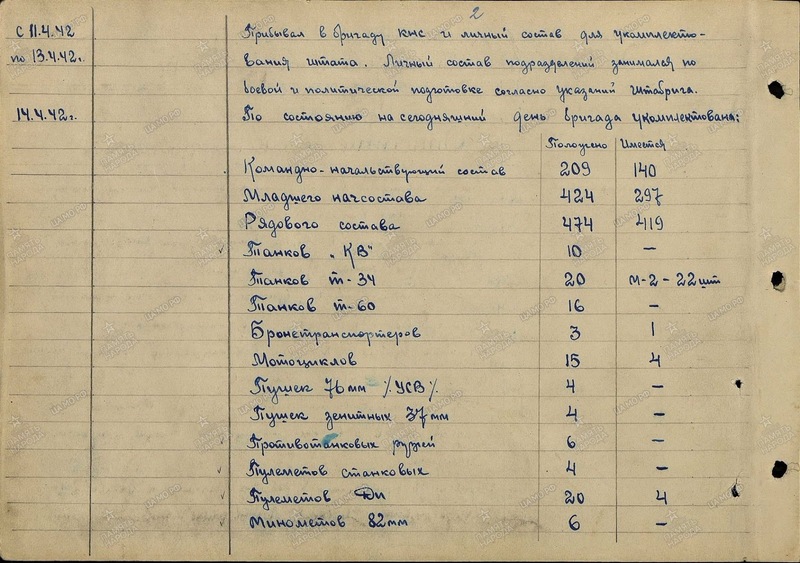 A lot of attention is aimed at the numbers for Lend-Lease aid received by the USSR in WWII, but what about the aid received by the Russian Empire during WWI? Despite being a much less discussed topic, the numbers are, in some cases, much greater than the LL ones. RGAE-413-12-8605 has the info we need. I've had so many articles about IS-2s shooting up Tigers, it's only fair to do one on the other way around. This IS-2 was lost by the 72nd Independent Guards Heavy Tank Regiment on May 1st, in Khotymyr. 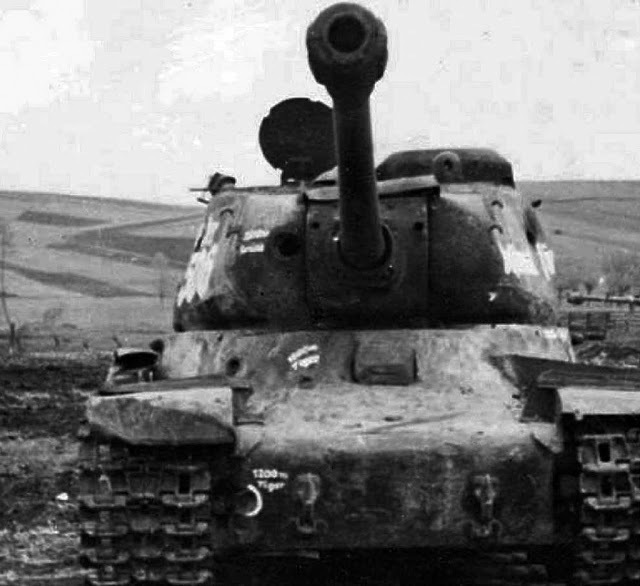 Judging by the amount of impacts on its armour, it didn't give up without a fight. From the front, we see three hits: two nonpenetrating hits to the hull, one from 1200 meters and one from 1100 meters. A hit to the front of the turret penetrated. This side shows only one impact: a nonpenetrating hit on the upper side from 1100 meters. The hole in the turret is a pistol port, not a breach.